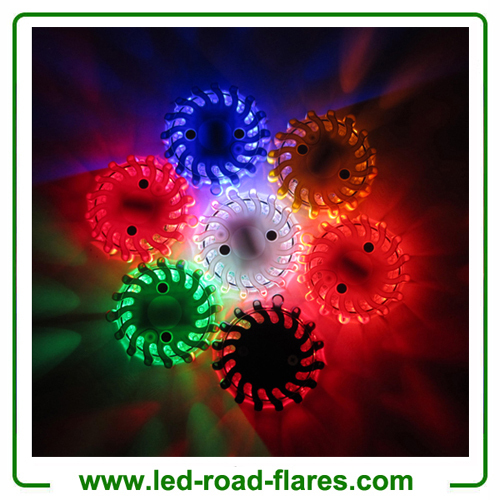 LED Safety Puck are the Most Suitable Lighting Option for Any Situation Light is an important part of day-to-day existence. There’re certain stuff no automobile should be without; jumper cables, water, a blanket, seatbelt cutter, LED Safety Puck, tire gauge and of course a flash light. You can slaughter many birds with one stone by investing on an LED multi-tool for cars that combines a tire gauge, seatbelt cutter, windshield hammer & LED flashlight. LED headlamps are also important tools to keep in your vehicle in case you have to alter a tire or jump start your vehicle in the dark. Led Safety Puck Must-Have device for car driver! Led Safety Puck is especially designed for police, firefighters and rescue first responders to assist them during their work. This unique technology is now available to consumers and essential to keep in your automobile and to take along on your next boating, biking or hiking trip. Led safety Puck has 9 flash patterns; including U.S. Coast Guard approved SOS-Morse code. It runs up to 100 hours on the replaceable CR-123A non rechargeable battery. The unit can be mounted to metal object using attached magnet or hung using eyelet or by simply placing on ground. LED Safety Puck is the 9-in-1 highly visible LED safety puck. The Rechargeable LED Safety Puck is an ingenious safety product that should travel with everyone who drives a motorcycle or car. This compact ultra bright flare will make you and your vehicle visible from a half mile away. The ultra bright led light has 9 different functions and light patterns. Several light patterns are directional so it can be used as a flashlight for roadside repairs and inspections. The Rechargeable LED Safety Puck is a red LED rechargeable light with 9 separate light and flashing combinations for safety and Road use that recharges easily with the enclosed adapters.The Rechargeable LED Safety Puck includes the puck light itself, a magnetic base for charging, a car outlet and household plug in with a USB cable for charging. The Safety Puck has the USB cable for plugging the charge base into either the household adapter or the vehicle adapter as well as your computer or other USB powered device. 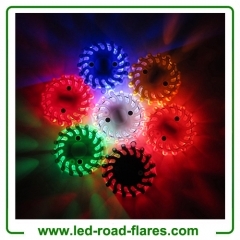 The Led safety Puck has 9 functions with the ring of red LED lights that circle it giving you the various combinations using an included computer circuit to light up the RED LED’s. The light combinations include rotating around the puck, quad flash, single blink, alternating blinks, SOS Morse code, steady on with high and low output, 2 and 4 LED flashlight. The F9 in 1 akshing Led Safety Puck is a great safety light with the various attention getting flashing and blinking lights along with the on with two or four of the LED’s to use for a regular flashlight. 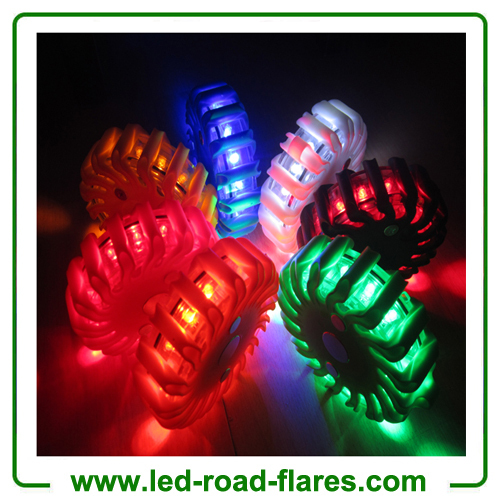 The two and four LED lights work well for Road use like changing a tire or finding your way when the power goes out while the rest are great for attention getting.